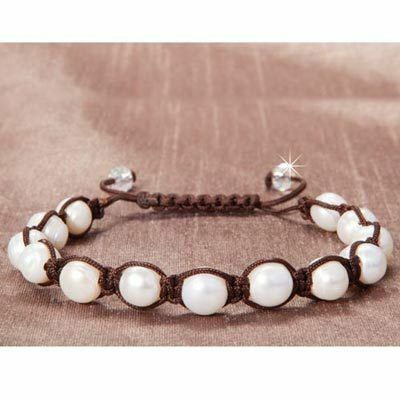 Luminous, white freshwater pearls are caught in a pattern of black, knotted cords. Clear crystals sparkle at the cord ends. Pull-cord design fully opens to 4" dia. ; closes to 2" dia. Limited Quantities!